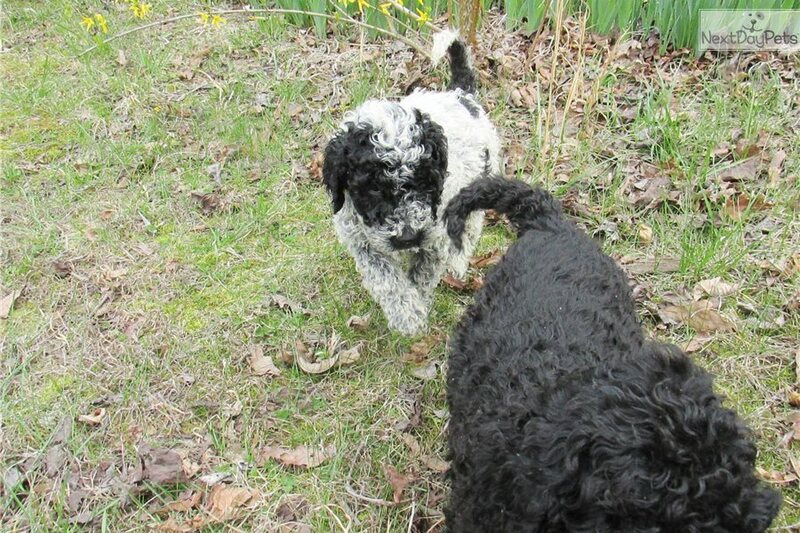 This Portuguese Water Dog nicknamed Hams sold and went to a new family. We would like to introduce Hams. 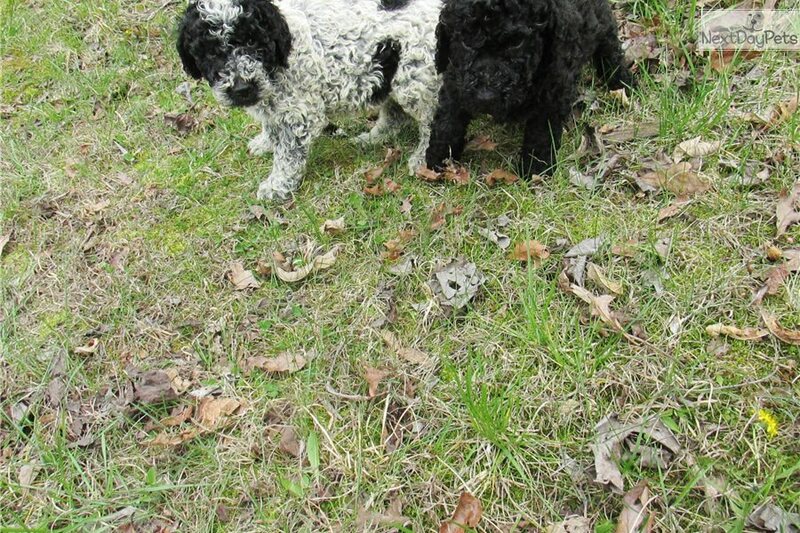 He is a black/white roan coat . 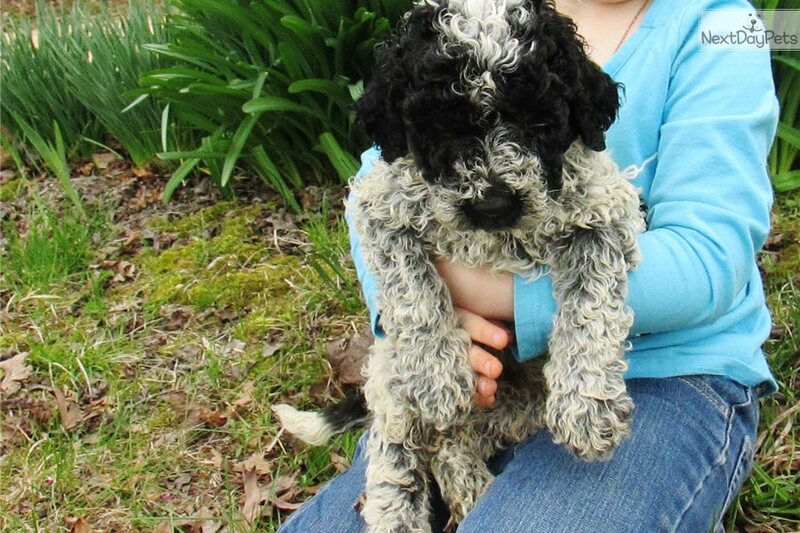 This little guy is going to be one handsome pup.He has beautiful markings. is a sweet laid back type. 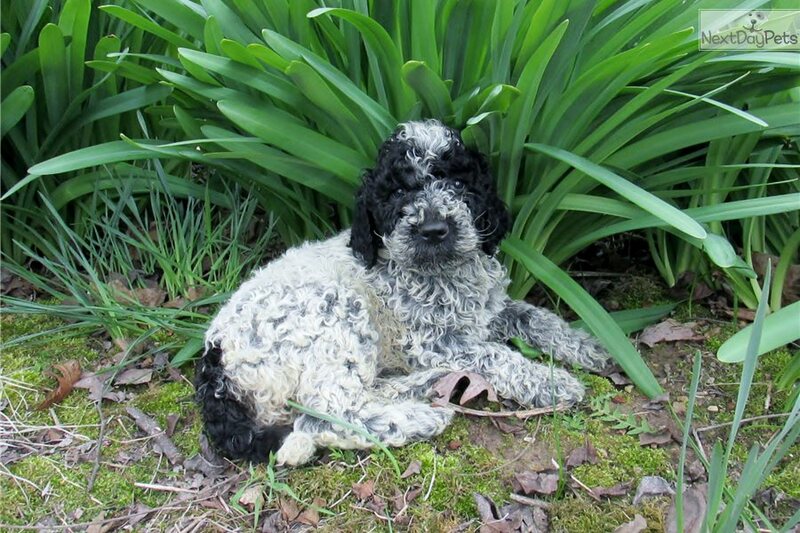 He comes from a Portuguese Water Dog and a Standard Poodle line. Sire is Fynn Lighthouse and dam is Elsa Cao Royale. 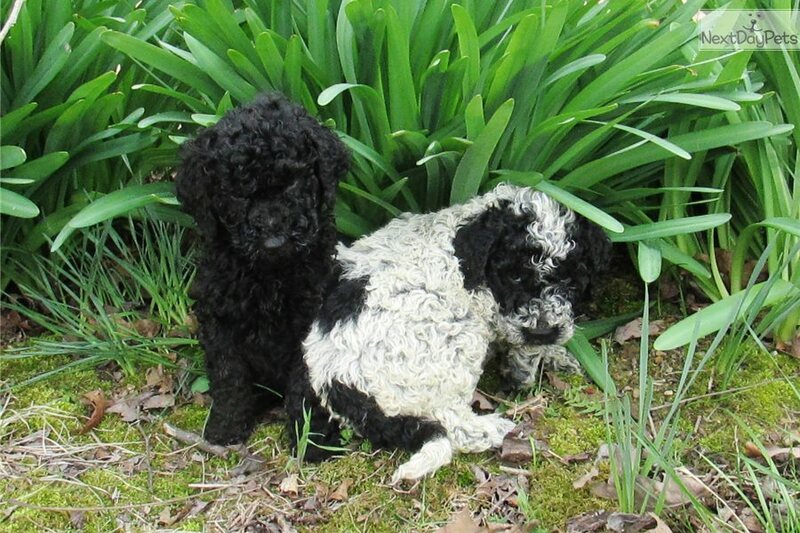 South Creek Puppies is the Home of the Porti-Doodle.Porti-Doodle puppies are energetic, loving, intelligent , have webbed feet, blue skin under black coat and extremely loyal puppies and they are socialized with our grand children in our home. 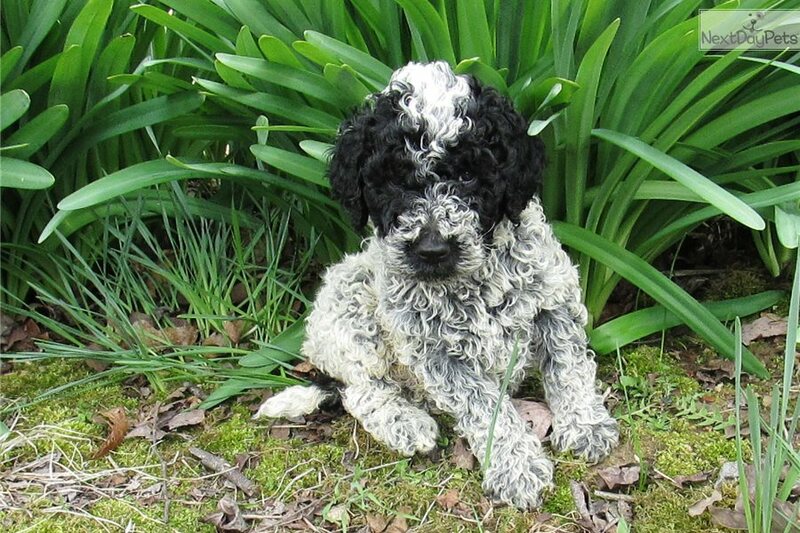 South Creek Puppies is the Home of The Porti-Doodle Puppy where Happy , Healthy and Hypoallergenic Porti-Doodles are from. 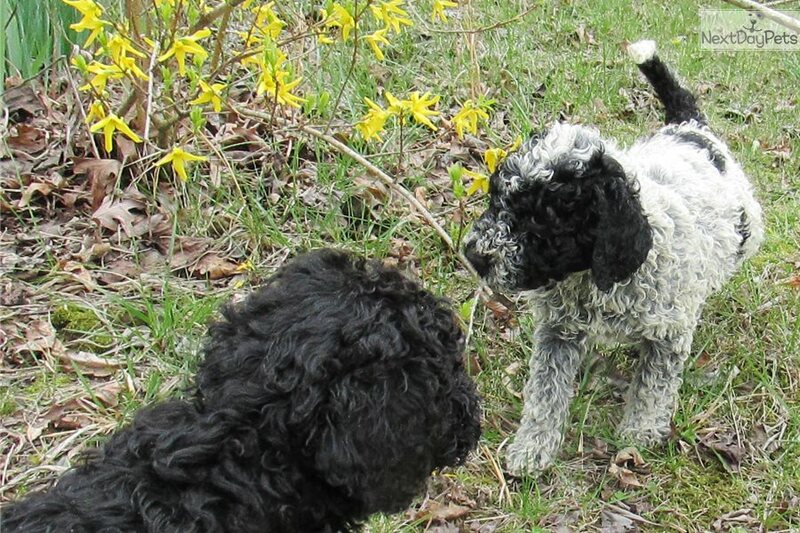 our starting 7 years ago, the hybrid arrived and we feel in love.This is our 6th year raising these wonderful puppies, references upon request. 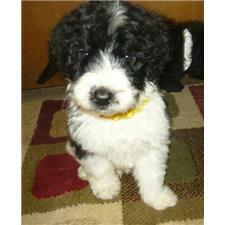 He will arrive with micro-chip, vac/health record and a Shipping Crate for you to transport him home in....Please contact with serious inquiries and I will be happy to answer any questions and provide additional pics.